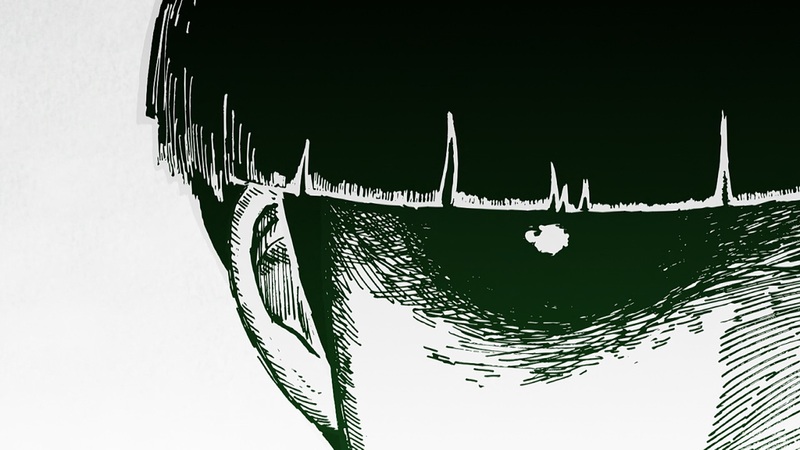 We’ve settled on this dynamic of writing two posts a week that at least prominently feature Mob Psycho, but I’m comfortable with it since the approaches are different and people seem to enjoy them. And even if that weren’t the case, this week sure wouldn’t be the moment to stop – not after the show’s first Big Episode. 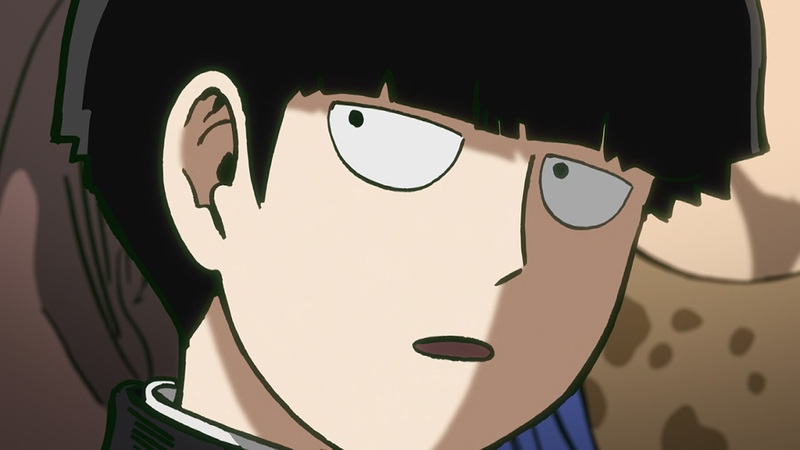 Mob’s worries foolishly lead him to a shady cult, where its leader had the misfortune of poking his insecurities too much and… well, he got a bit upset. 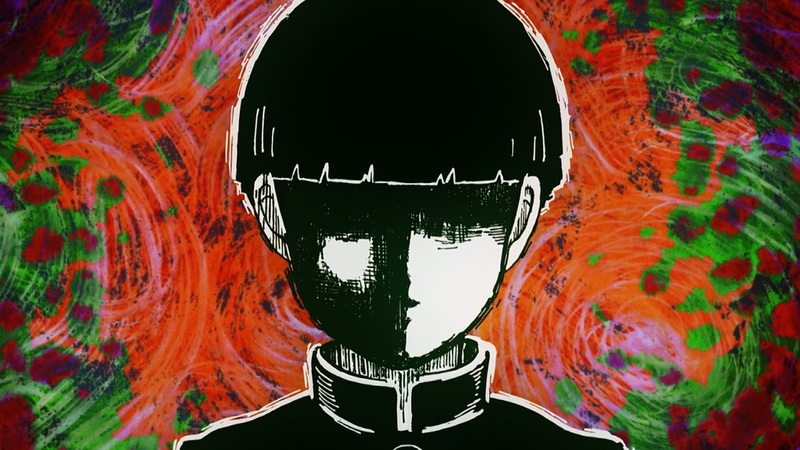 It took previously established ideas like Mob’s sealed powers and expanded upon them; those correlated to his feelings, which he also contained – as shown in perhaps the most striking shot in the episode – to avoid going on a rampage. 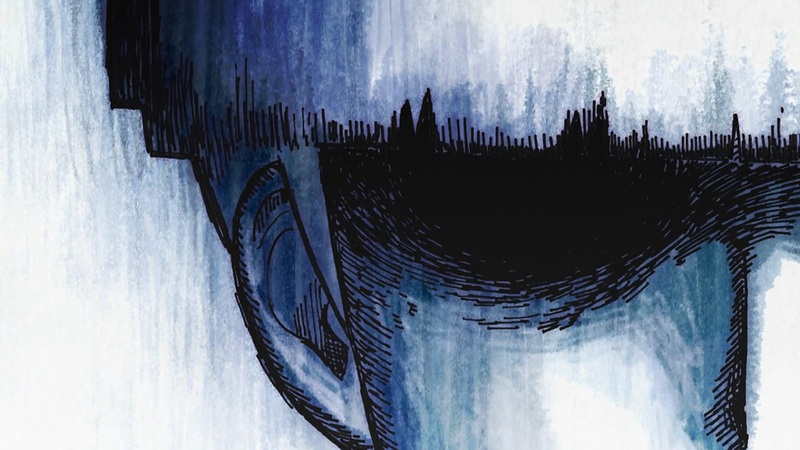 He has mundane dreams, but these emotional restraints made it hard for him to have the regular social life he wants. 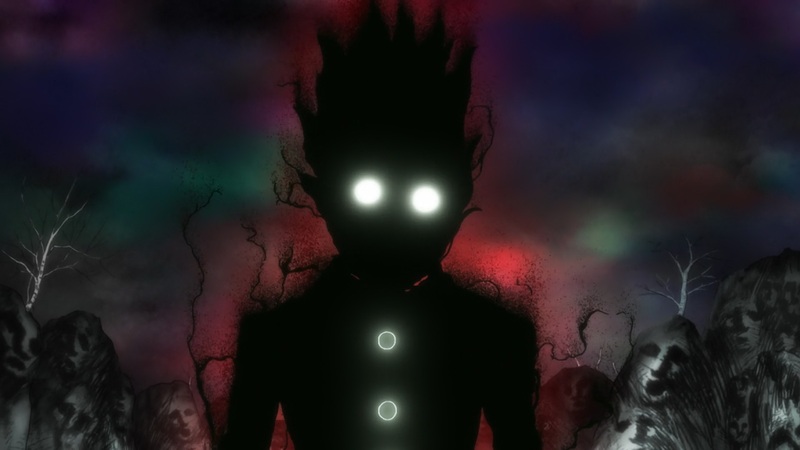 Just like in the show’s intro we also saw his gradual descent into an unrecognizable angry shape; Mob barely has any recognizable facial features to begin with – a mob after all – so it’s only when he reached 100% and let his feelings loose that his design became distinct. 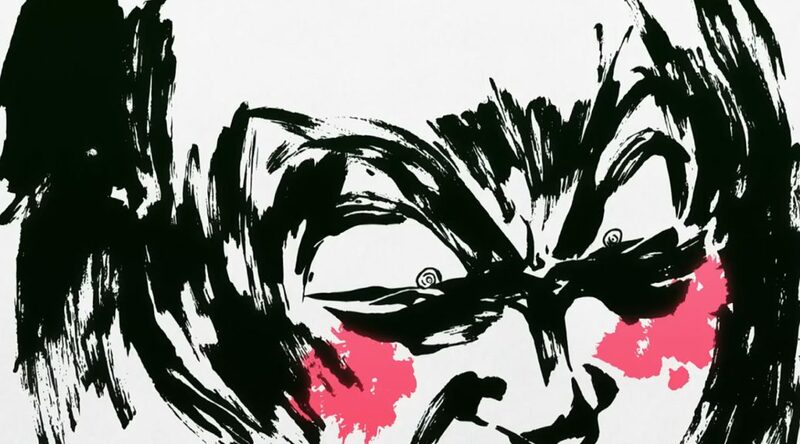 I’ve seen mild criticisms that his release of anger wasn’t as impactful as it could have been, but it’s the buildup that Tachikawa focused on. The delightful tension as the counter we’ve seen for multiple episodes approaches its end was more climactic than the actual climax – and I’m OK with that! 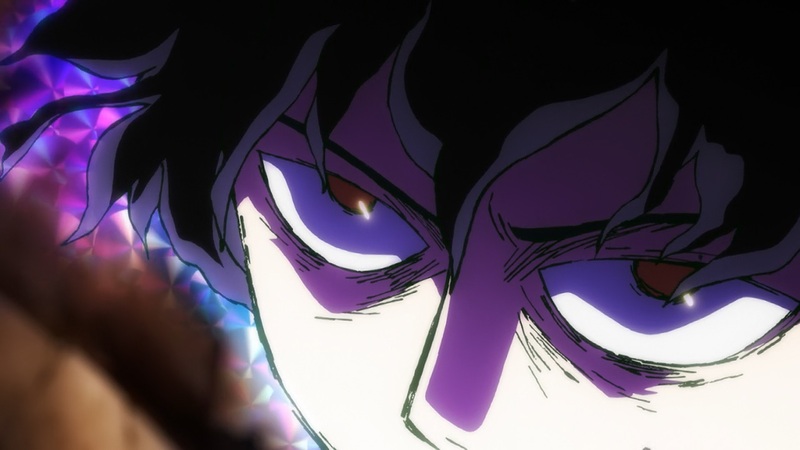 The explosion itself isn’t all that much more impressive than his previous psychic battles, that’s true, but partly because this show has warped our perception; a flashy set piece with background animation and playful ink-like impact frames have a hard time feeling particularly memorable with consistent craft this strong. For now I’m delighted, but it’s also true that if we get a 100% with more gravitas I’d love it for it to stand out within this already ridiculous production. 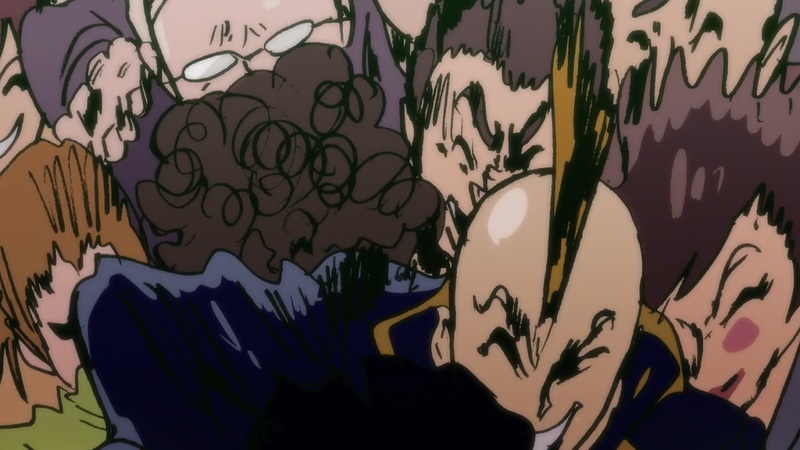 Our weekly coverage already introduced Gosei Oda, whose voice as animation director echoed through the entire episode. 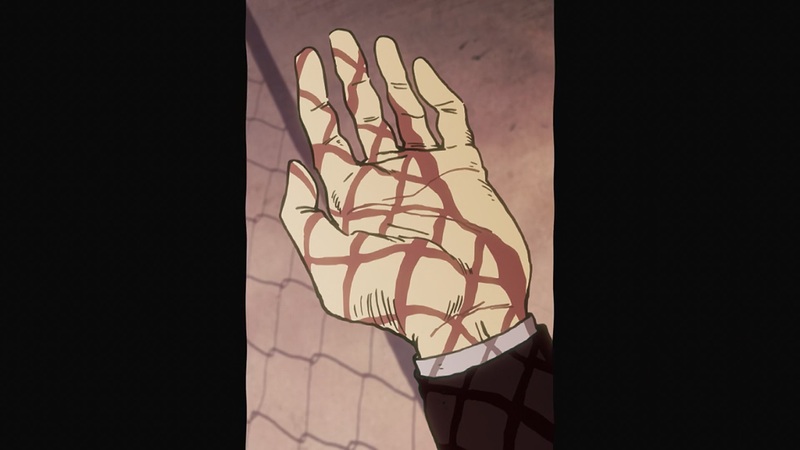 His thick linework immediately stood out, though he’s always open to dropping it entirely to leave a trail of soft smears. The series as a whole seems to treat line art as an actual element with its own texture rather than simply outlining silhouettes, an understandable approach for a project with Kameda’s rough pencil at helm. Oda’s drawings feel even more oldschool than his, which is particularly obvious when you look at the mob – heh – characters. It’s easy to tell he had a blast with the crowds. Honestly, there’s an endless list of things to love in this episode. Once again Tachikawa’s aim to surprise the audience at any time shines even through very minor subversions. 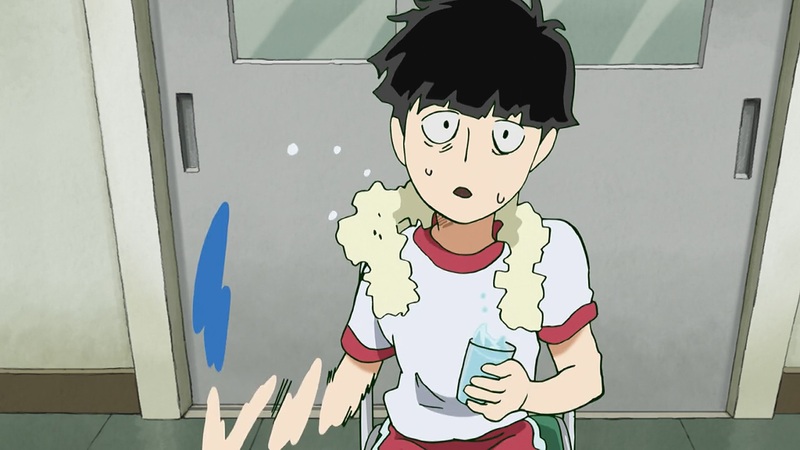 His portrayal of peer pressure is also striking, especially since it contrasts with Mob’s inability to read the mood. And some people still wonder why we won’t shut up about the series on this site. 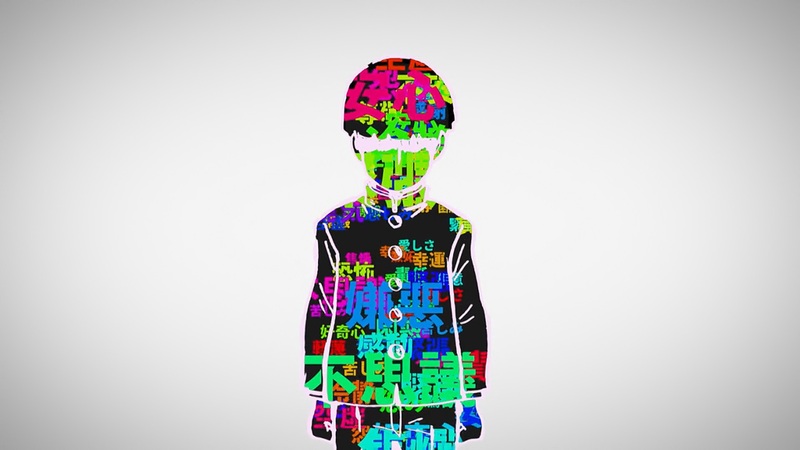 Let’s calm down from Mob Psycho’s intensity… with something potentially more frustrating: a teenager quietly making self-destructive choices. A few weeks ago I mentioned that getting across the warmth of friendship was one of Hiroshi Hamasaki’s main challenges with orange. 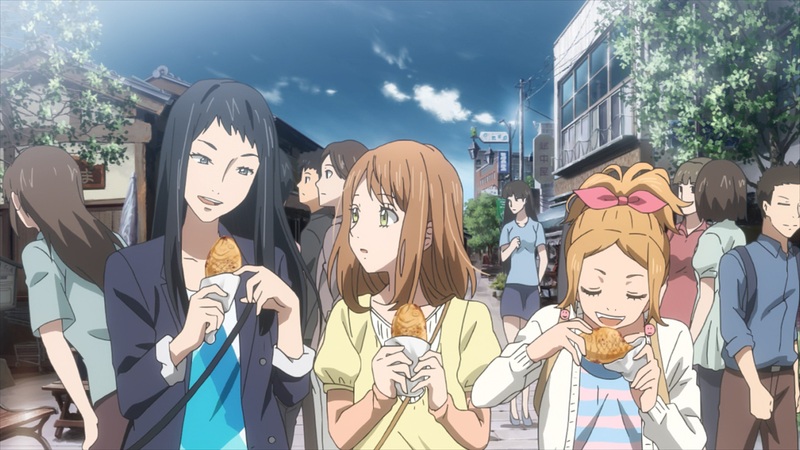 Understanding how much the cast enjoys being around each other is what sells their ordeals to keep that group together, and those lively scenes are what makes the moments where Kakeru is framed separated from them all the more poignant. And once again – so far so good! Similarly to the lighthearted montage from the first episode, the fourth one features some non-standard editing to make them hanging out stand out in a fun way. 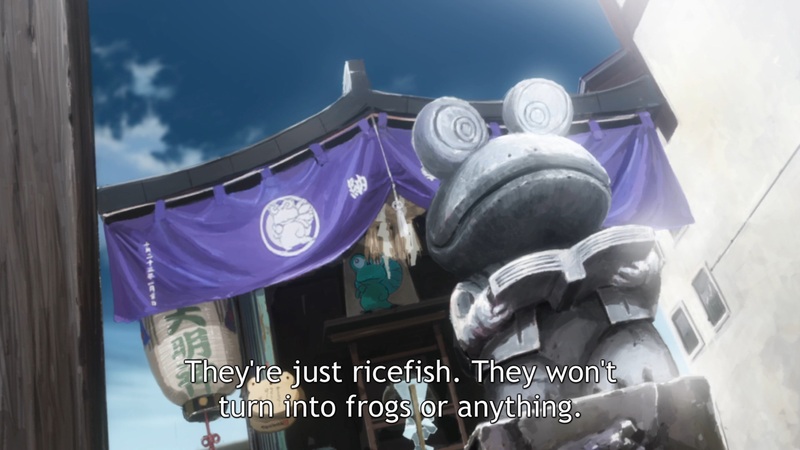 A casual conversation leads to a completely arbitrary mention of frogs, which spirals into endless imagery and cute sequences featuring illustration book-like drawings – mirroring the group’s actions as they eat some taiyaki and hang out by the river. The imagery itself doesn’t need to hold much of a meaning, it’s the usage that makes it effective. 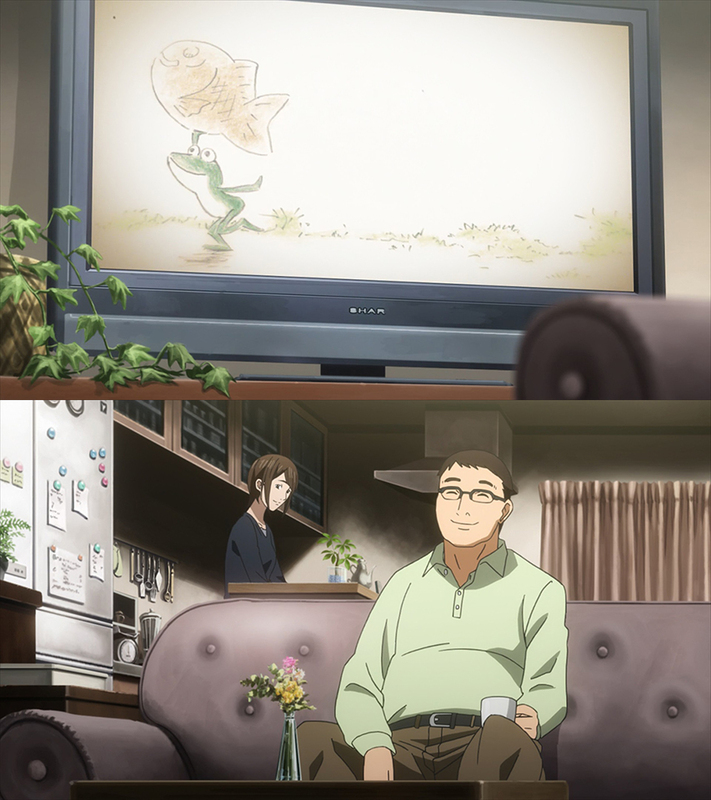 It even reappears later on while Naho is anxious and lost in thought, to contrast with her parents having a good time watching something amusing on TV. That scene simply stands for fun. It’s completely arbitrary, and that’s why it’s good. 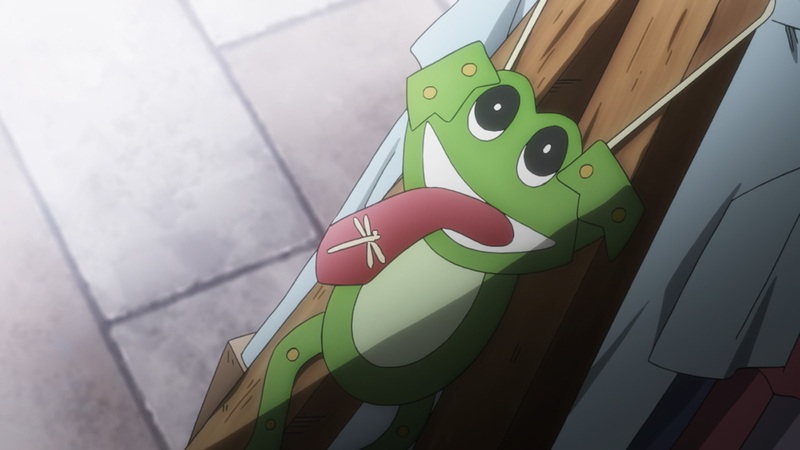 Hamasaki didn’t storyboard nor direct the episode, but he’s directly responsible for that moment seeing how he even animated the frog sequences himself. His idiosyncrasies don’t always seem to work – some of the fast cutting makes scenes more stressful than they feel like they’re meant to be, just to convey a bit more of information – but it seems undeniable that he understands the work and is putting lots of effort into it. 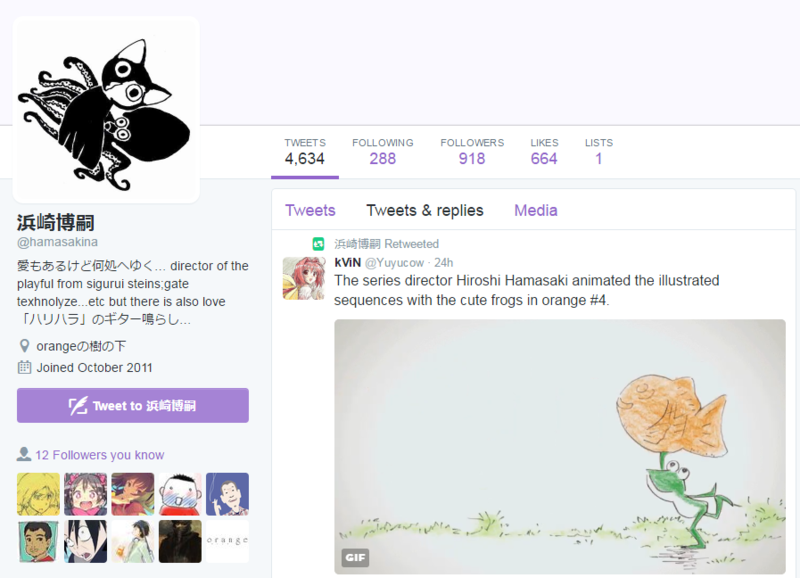 And you know what, I think he’s pretty happy about his nice work being acknowledged. Good on him! It’s always a pleasure to see a unique director unafraid to give personal spins to already popular series. Now let’s hope that the show’s seemingly troubled production doesn’t ruin his efforts. 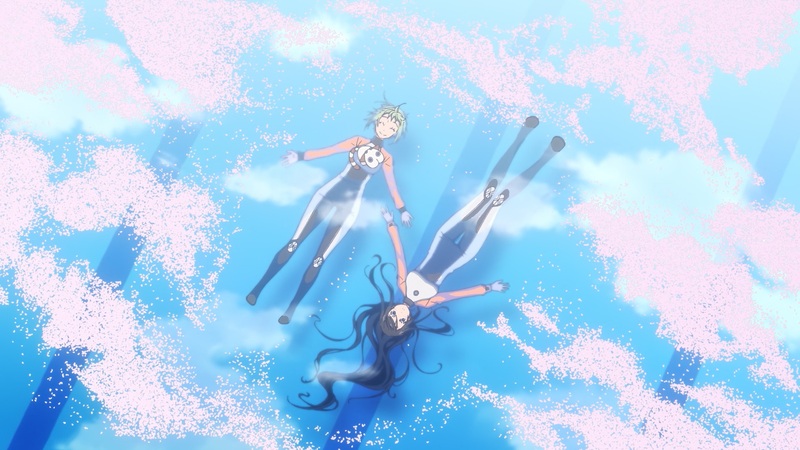 Previously I also mentioned that Amanchu’s art direction wasn’t as striking as it would need to be to capture Amano’s magic. 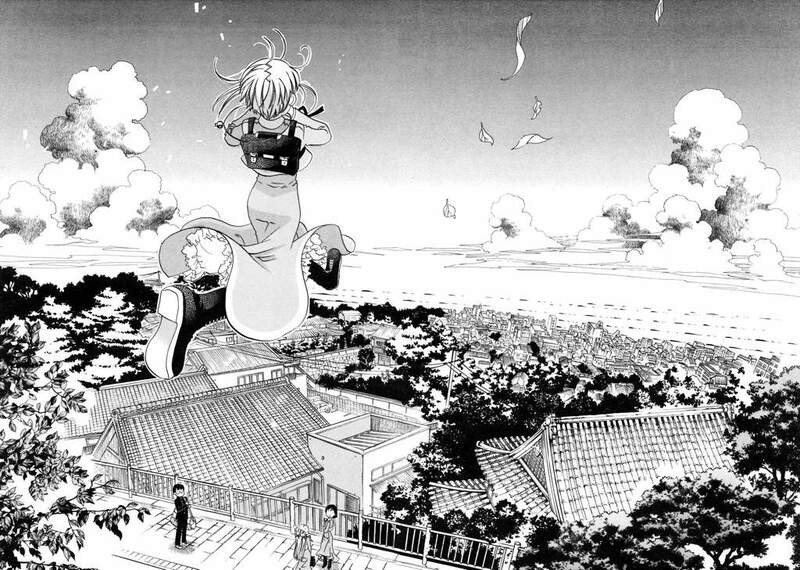 Something I still stand by – the serviceable backgrounds and simply functional layouts aren’t on the same level as the breath-taking manga equivalents. 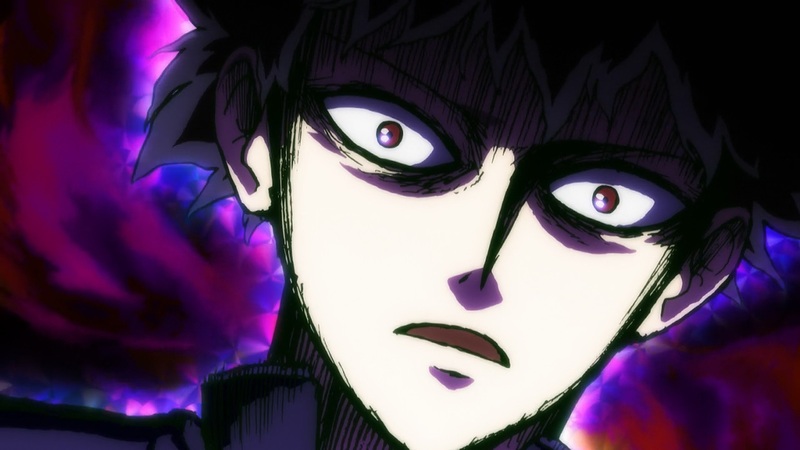 Yet despite that, I’m increasingly surprised by what the show is achieving. 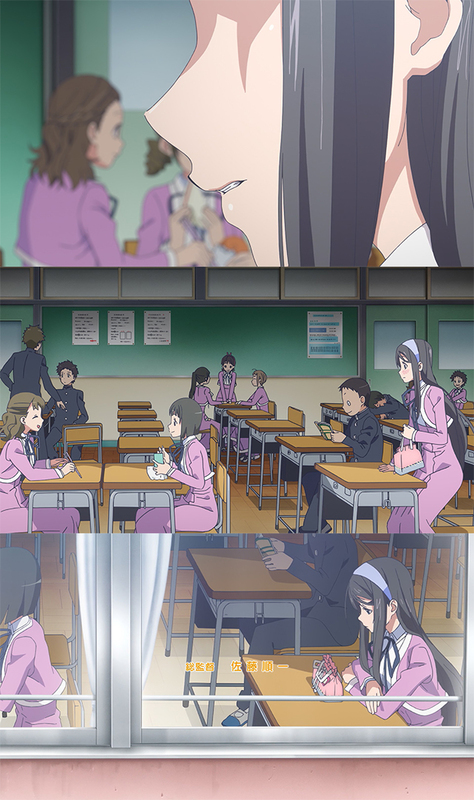 The latest episode succeeded at portraying Teko’s anguish trying to fit in a new environment, as well as showing how at ease she is when she feels like she belongs by Pikari’s side. Their personalities are complete opposites, yet their troubles communicating bring them together in a very heartwarming way. If this weren’t a very serious blog where all fun is banned, I would say that I’m glad the series is set by the sea because I ship it. 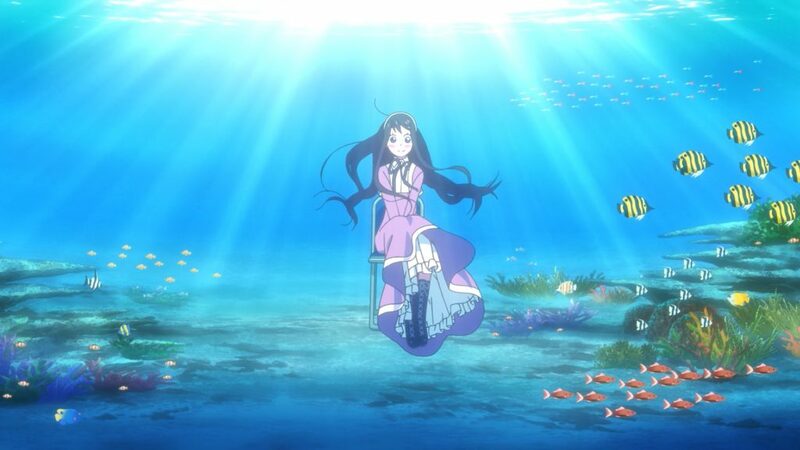 But back to the craft – I’m also glad that rather than decaying as you’d expect from TV anime, the character art has kept on being gorgeous; some personal animator touches leaking through have only made it better! 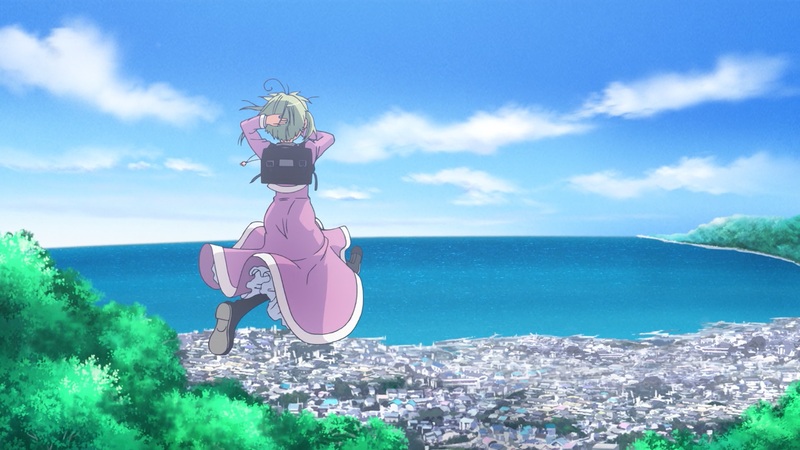 At this point I can confidently say Amanchu’s adaptation is better than Aria’s ever was, which as far as I’m concerned more than makes up for the material not being quite as strong. It’s not the perfect show I dream about, but still a beautiful rendition of an incredible artist’s work. 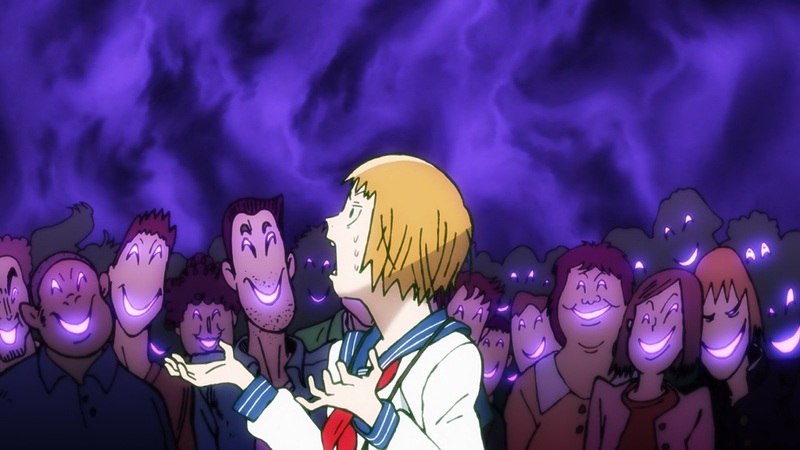 Even in a season with Mob Psycho this might be what I’m most attached to. 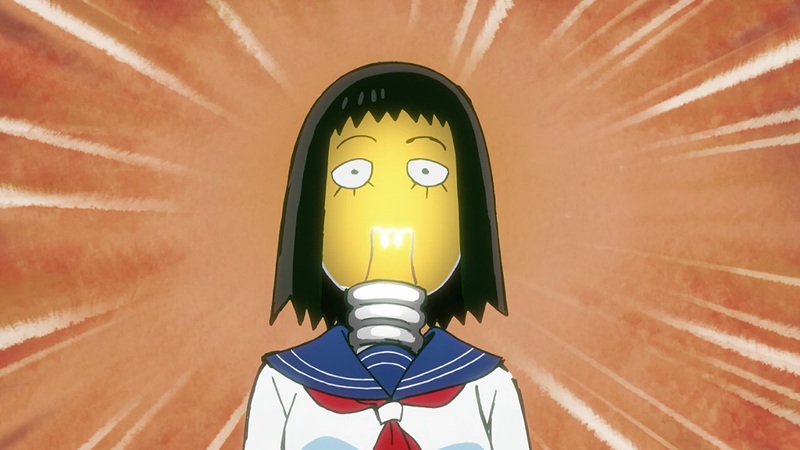 There are some tasty treats I’ve been putting away due to Mob Psycho’s refusal to stop being excellent and having other exciting current developments, but I think next week I’ll finally get to them since Tachikawa and Kameda are due for some downtime – theoretically at least, though by now it’s obvious that their project doesn’t operate under normal rules. 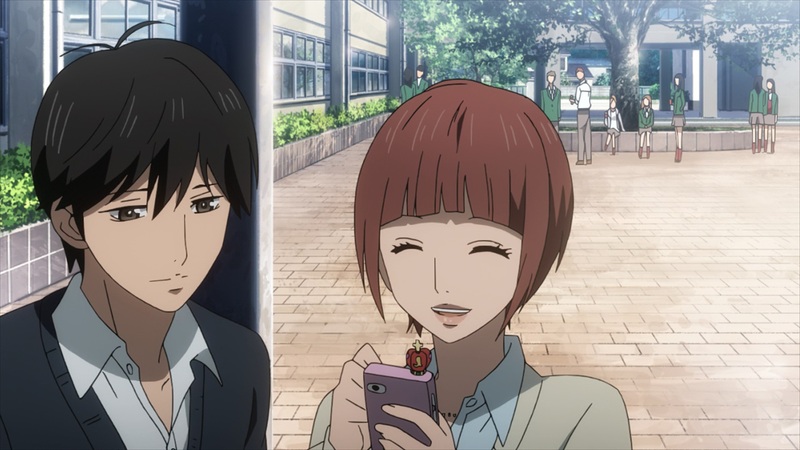 What did you think of the shoe scene from Kono Bijutsubu this week? I know that this team at Studio Feel is made up of a lot of people who worked on Oregairu Zoku and you can definitely see it in the gentle motion in cuts like these. Good stuff, especially 20s onwards. 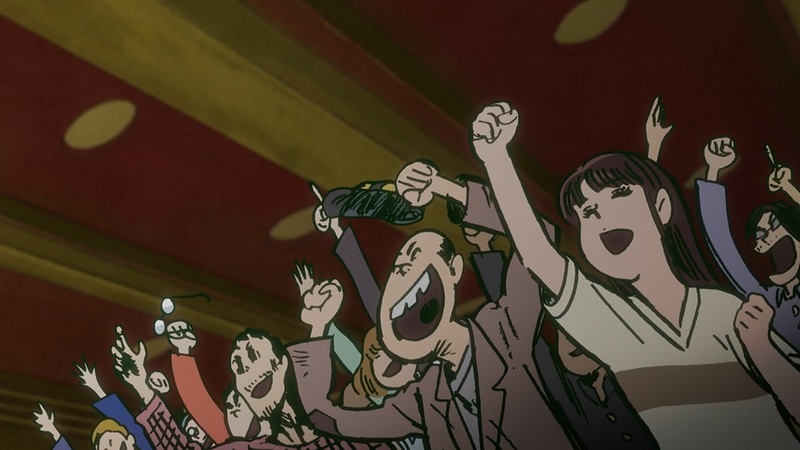 Details like animating feet taking toes into consideration make scenes like that quietly stand out. 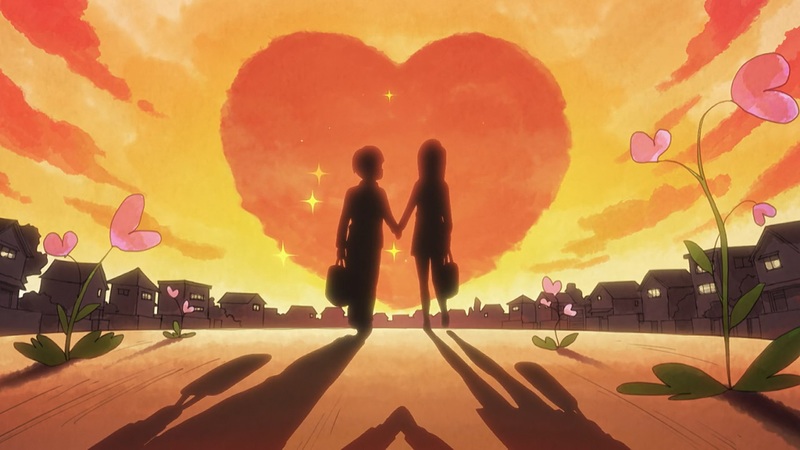 For Konobi and especially New Game I was waiting on a particularly strong episode to talk about them, but I might just give them some shorter comments in a week that’s less loaded. Thanks for sharing this one. I haven’t seen this episode yet, but wow, that was seriously wonderful. So much personality.